Latane's heron is so gorgeous. Happy PPF I love this painting. Have a great weekend. Congrats Mom for being picked this week! I loved the heron. That heron impressed me last week, beautiful painting. Hi I would like to join PPF again. But it's been years and I can't remember how it works. Is there a weekly theme? I'm looking forward to seeing your paintings! I love Latane! She is an amazing woman. 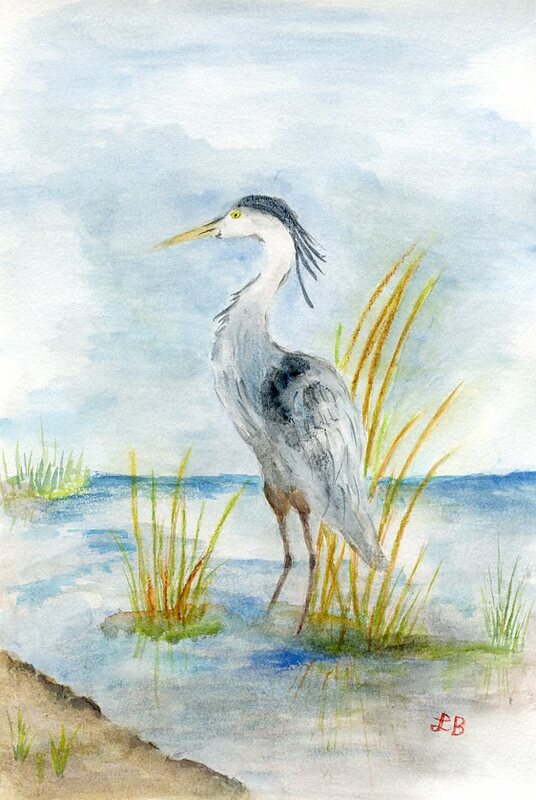 I love that beautiful heron painting. Happy PPF! What a joy to be featured this week. Me and that heron sure do thank you. Congratulations Latane! You did capture the majesty of these beautiful birds! Congrats Latane, such beautiful art, so peaceful and majestic! Wow. Really lovely painting. Thank you for sharing. just an spanking post . Feeling glad to see your post , thanks . Thanks for explaining EVA. Thank you so much. Just what I was looking for !!!! Fantastic printing art. Thanks for share.